There are nearly 80 works from the collection on loan on the two campuses of Concordia University. Some of these works are located in public areas, but most can be found in University administration offices. Loans are granted according to the Gallery’s Loan Policy. The Gallery regularly receives reproduction requests from other art institutions, publishers or independent authors. The billing and delivery of reproductions are managed in accordance with the Gallery’s dissemination of works from the collection in digital format Policy. Photographs of the works from the collection can be provided free of charge when they are required for study, research and personal documentation purposes. The Gallery occasionally exhibits works from its collection as part of its contemporary programming. The virtual exhibition Collecting. The Inflections of a Practice presents more than 250 works from the collection in connection with collecting issues. It allows one to learn about some important moments in the history of the Gallery and its collection. One can consult the contents of the collection using the online databases of The Canadian Heritage Information Network (CHIN), Artefacts Canada and the Société des musées québécois (SMQ), Info-Muse. The Gallery’s vault can be visited on request and by appointment. Today, the Gallery collection’s is used for research purposes. Exhibition curators, writers, historians, professors, researchers and publishers use it as a resource to develop or complete their exhibition projects and research. Each year, the Gallery receives a dozen or so requests for loans or reproductions from various institutions in Canada and abroad. The collection serves as an educational tool. It is put to use in various projects which promote learning in the fields of art history and museology. For example, the Gallery regularly collaborates with Concordia University art history students. Moreover, it periodically offers internships for students in the M.A. program in Museology, which is jointly managed by the Université du Québec à Montréal and the Université de Montréal. In the same vein, the Gallery takes advantage of its university status to offer its collection as platform for experimentation. It welcomes and solicits projects from students and professionals exploring the collection and developing critical thinking in regards to artistic and museological issues, or issues pertaining to other fields of knowledge. Though these projects can take various forms, exhibitions and publications are the most frequent ones. The creation of the Max Stern Curator position (2004) and the continuation of the moratorium on acquisitions (2003-2010) made it possible to enhance the visibility and knowledge of the collection and to adopt a more critical approach. It is in this context that the exhibition program Collection emerged to more deeply explore the various aspects of the collection. Collection 1: Yves Gaucher – Les Danses Carrées and Collection 2: Sur le vif: Tom Gibson et Sam Tata, were curated by Nathalie Garneau and presented at the Gallery from May 25 to July 9, 2005 and from March 22 to April 15, 2006, respectively. In 2008, the guest curator Andrew Hunter created an autobiographical narrative by selecting and exhibiting modernist works from the Gallery collection that echoed his childhood dreams. This is Montréal! presented the aesthetic memory that the artist, writer and curator associated with the city of Montreal after his first visit in the early 1970s. The exhibition stimulated reflection about issues related to the contingencies of memory and fictional constructions, as well as the diversity of potential narratives which can be expressed through the intermediary of a collection. Through this process the curator presented the exhibition medium and the collection as temporal markers. 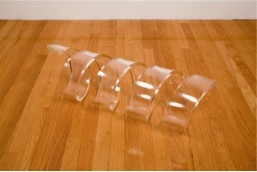 In 2009, guest curators Rebecca Duclos and David K. Ross exhibited as many works from the collection as possible currently stored in the vault in their exhibition As Much As Possible Given the Time and Space Alloted, in order to give shape to their thoughts about curating and the dissemination of works. They camouflaged their subjectivity using a selection and installation system that raised questions about the intellectual property linked to curatorial projects and about the fact that certain works in museum collections remain invisible to the public eye. Moreover, this process-based exhibition presented the activities that are part of an exhibition display, i.e. the production of a condition report, the moving, installation layout and storage of works, so as to reveal the operations which are usually kept out of public view. In creating a mix of works that does not follow ideological, chronological or aesthetic guidelines, the curators succeeded in presenting what goes on behind the scenes in a museological institution and its collection. In 2010, Mélanie Rainville, the Max Stern Curator at the time, organized the exhibition Collecting. The Inflections of a Practice comprised of a great number of objects from the collection. She used the collection as a tool (an exhibit, evidence) to assert that the collection reveals its own history. In order to demonstrate this, she pointed to various aspects of the exhibited works by way of extended labels. The content of this project, which focused on the Gallery’s collection practices via the type, number and condition of the works it conserves, was presented in the form of a website. This site, at the intersection of a virtual exhibition and exhibition archive, has been available online since 2011. 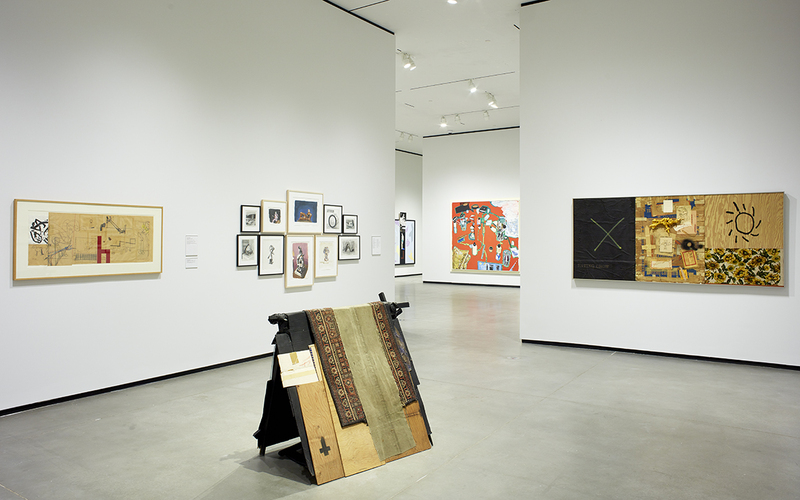 In 2012, the Curator took advantage of the collection’s fiftieth anniversary to organize two curatorial projects. In the dialectical context of INTERACTIONS, she created a space to reflect about the reception of art by the viewing public, and more specifically about the gap that separates museum institutions where contemporary art is exhibited and the public. The curator juxtaposed a selection of contemporary works from the collection with video and textual documents, which communicated interpretations of the works made by various contributors invited to participate in the project. In 2014, the collection was highlighted as part of Speculations. Risquer l’interprétation, a progressive and experimental exhibition focused on the interpretation and instrumentalization of works, and on memory within the context of an overabundance of cultural programming. The Curator brought together several of the Gallery’s recent acquisitions so as to reveal aspects of the exhibition curator’s work, such as the use of two dimensional graphic plans to develop the physical layout of the exhibition. She revealed the complexity of the chosen works, the multiplicity of the interpretations they become the subject of, as well as some of the consequences of imposing a set interpretation through the exhibition medium. She thus recalled that there is no such thing as a single correct interpretation of the works and that, consequently, exhibition curating is of a speculative nature. The satellite exhibition SIGHTINGS was inaugurated in the same year in order to assess the limits of the modernist exhibition space, often called the “white cube” in art world jargon. To this end, the Gallery invited Concordia University graduate students in Studio Arts and Art History to organize exhibitions with works from the collection that would subvert the SIGHTINGS exhibition structure—a literal white cube. Five projects were presented in the structure while it was located on the metro level of Concordia University’s EV building in 2013. A second programming cycle began in 2013 and, shortly afterwards, the structure was moved to the ground floor of the University’s Hall building. The program now makes it possible for professionals to develop exhibition projects around works of any provenance for this atypical space.